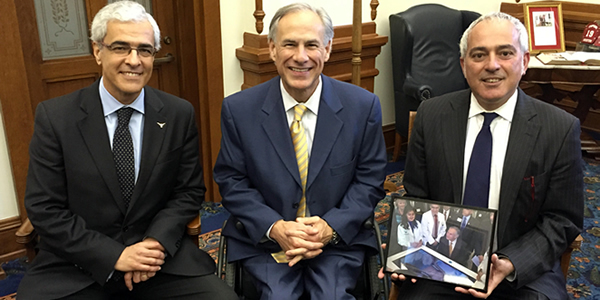 A nice picture of Texas US Governor Greg Abbott, Ambassador of Portugal in the US Domingos Fezas Vital and the Commissioner of Trade & Investment for Portugal Rui Boavista Marques, at IC2 Institute (Austin, Texas). Photo taken by Francisca Aroso. Thank you!